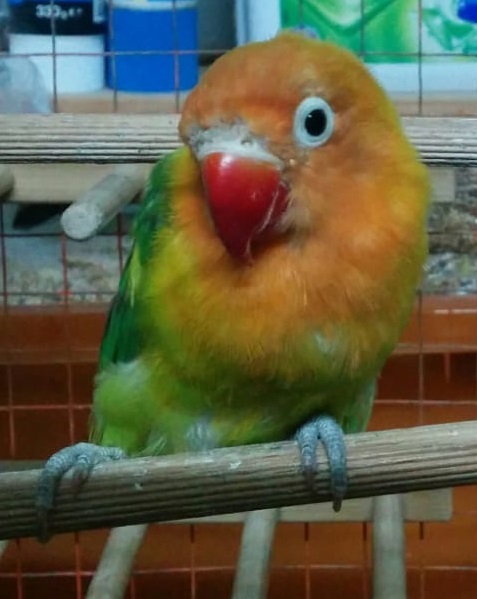 Can anyone tell me whats wrong with my lovebird? Is this feather changing or feather mites? Does IVERMECTIN takes care of feather mites? Are you talking about right above the cere? Have you taken your lovie to an Avian Vet for a proper diagnosis? Ivermectin does treat feather mites but you need to be sure that is what the problem is. Additionally, I strongly recommend you replace all the plastic perches with Natural Wood perches of varying diameters not wooden dowels, in order to help prevent pressure sores.